The principles of equality and non-discrimination are a cornerstone of constitutional law and of international and European human rights law, and there is increasing recognition of the fact that any system of taxation must comply with them. This book examines how these principles influence the tax regimes of eight European jurisdictions. 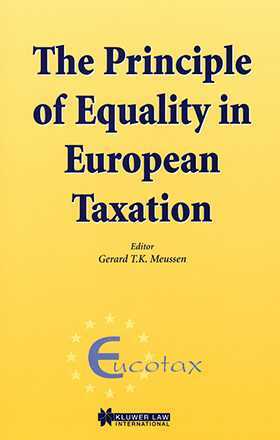 The authors examine the impact of the equality and non-discrimination principles on tax law and policy, with particular reference to their application in national courts and the European Court of Human Rights. The discussion focuses on an individual's right to appeal to the courts, the procedures for judicial review, and the core question of whether objective and reasonable justification exists for instances of unequal treatment of equal cases. This work will be of value to practitioners, policymakers, legislators, judges and researchers working in the field of taxation and human rights.